This wasn’t at all how it was supposed to end. 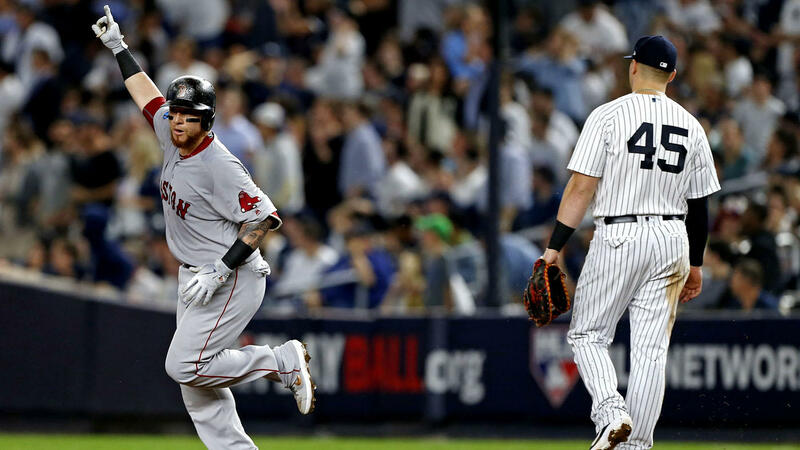 As the Red Sox celebrated on their home field the Yankees have to wonder where it went wrong. Last season they were one game away from getting to the World Series. This team was improved, they added the reigning NL MVP Giancarlo Stanton, veteran Neil Walker and talented young infielder Brandon Drury. Obviously Drury didn’t pan out well, but he did bring the team JA Happ. Brian Cashman, the best GM in sports struck gold by acquiring Luke Voit for Giovanny Gallegos and Chasen Shreve mid-season and then in late August a former MVP in Andrew McCutchen. They were built to win and should have easily won the AL East and had a ALCS rematch against the Astros. But, here we are on October 10th, the guys will report to the Bronx one more time to clear out their lockers and head to their respective home for the winter after losing the ALDS in four games. So this begs the question, where do the Yankees go from here? Let’s not overreact too much here. This is still a team that won 100 games and is one of the best teams in baseball. With a young core of Aaron Judge, Miguel Andujar, Luis Severino and Gleyber Torres the Yankees future is beyond bright. Losing is never acceptable on 161st and River so you can bet that Brian Cashman and the baseball operations team will have a plan to make 2019 the year that title number 28 comes home to New York (lord knows the Mets won’t give the city one). Without further anticipation here is my way way way too early prediction at what the Yankees 2019 roster could look like. 1. Luis Severino- Despite his poor performance in the ALDS and second half of the season the ace will once again get the opening day nod. 2. Dallas Keuchel- I thought long and hard about giving the nod to Patrick Corbin here but when all is said and done I foresee Keuchel coming to New York on a 5-year deal worth $129 million. 3. Masahiro Tanaka- Still a big game pitcher and would be the best 3 man in baseball. 4. JA Happ- Despite his poor ALDS showing Happ was the Yankees best hurler in dog days of summer. He comes back for one year and a chance at redemption in October. 5. Sonny Gray- I know, I know but he can’t be as bad as he was this year right? 1. Aroldis Chapman- No question here, the flamethrower is still an elite closer. 2. Dellin Betances- Though he can be wild from time to time, the NY native is a top tier bullpen arm. 3. Chad Green- Setup man extraordinaire. Just don’t let him pitch two innings. 4. Jonathan Holder- The young righty was a pleasant surprise in 2018. 5. Brad Brach- A funky delivery will make him a matchup threat out of the Yankees bullpen. Brach signs a two-year deal. 6. Steve Tarpley- I like him, that’s my sole reasoning. Give him a whirl. 7. Tommy Kahnle- He throws the high stinky cheese and hopefully reverts back to his 2017 ways because 2018 was a disaster. 1. Gary Sanchez- He can’t have a worse average than this past season. While the power is tantalizing, its what keeps him on the team because defensively he is a nightmare. 2. Austin Romine- Best backup in the game. 1. Greg Bird- Luke Voit was an amazing story but a strong spring will see Bird reclaim his spot at first. 2. Gleyber Torres- The Venezuelan rookie came up and had success instantly with many clutch hits. 3. Didi Gregorius- I’m not sure anyone in baseball could have come in and taken over for Derek Jeter the way he has. 4. Miguel Andujar- If he works on his defense just a bit this winter, then we have a future superstar on our hands here. 5. Matt Adams- A big power bat to come off the bench and wreak havoc on the short porch in right. 6. Tyler Wade- He brings speed and defense to the table, all teams need that. 1. Aaron Judge- He’s the star of the team, face of the franchise and for all intents and purposes, the next Yankee captain. 2. Giancarlo Stanton- He was somewhat disappointing in his first year in pinstripes, not coming close to his 59 homers of 2017. However, this is still a much better team with him than without him. 3. Aaron Hicks- Speed, an outstanding throwing arm and very good power, it is amazing all it took to acquire him was John Ryan Murphy. 4. Jacoby Ellsbury-……………Now that you have had time to laugh. He gets paid too much money to bench all season, if he’s healthy he plays. 5. Bryce Harper- The moment many fans have been waiting for. Cashman makes Harper’s dream of being a Yankee come true on an 11-year deal worth over $290 million.